This is the beauty of Peace Corps—getting to know a community in a patient and organic way, allowing the necessary time to develop projects rooted in cultural understanding. 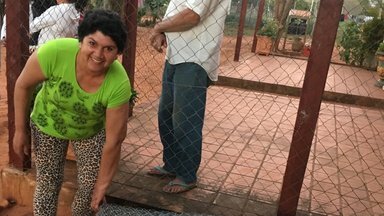 During the first few months in site, volunteers can often be found walking to every corner of their new town, yelling mba’eichapa (Guarani greeting), getting to know families, and drinking tereré (iced yerba mate). This is the beauty of Peace Corps—getting to know a community in a patient and organic way, allowing the necessary time to develop projects rooted in cultural understanding. In Pacheco, it was this process of getting to know each family that eventually led to forming a successful women’s commission and a series of family gardens. There were a few aspects of Pacheco that were clear from visiting families—there was a lack of healthy food options, and a large majority of single mothers did not have a steady income. Although these two areas of improvement differ in scope, the women asked me to help them put together a women’s commission to begin a chicken coop project. They wanted to build chicken coops for every member, allowing each woman to add a healthy protein to their families’ diet while also being able to sell the poultry at the city’s farmer’s market. To begin, we formalized a commission of nearly 40 women, all of whom were excited and interested in receiving aid to build the chicken coops. We wrote grants for the municipality, with no avail. We waited four months, continuously going to the municipality for check-ins and meetings. No luck. At this point, attendance had dropped off, but there were 12 women who consistently came to every meeting and demonstrated their commitment with their continued effort. After slimming down to 12 women, we turned to the local government without grant proposal. Again, we waited several months with few results. 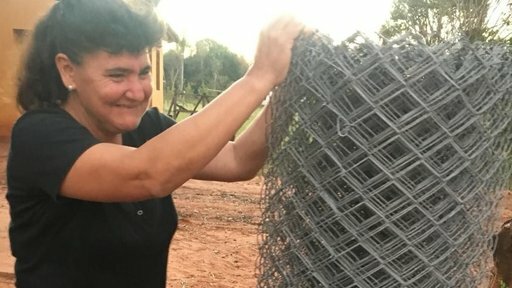 We were turned away and told that each chicken coop was too expensive—it would require a significant number of bricks, cement, wire fencing, roofing, manual labor, and, of course, chickens. With little drive still left in us, we pursued microfinance loans through a national foundation. We were hopeful, but the prospect of paying back 20 dollars the following month, without even having full-grown chickens yet, concerned the commission. Again, we had to continue brainstorming. Feeling disappointed, the 12 women and I met to rehash our approach. We did a blind vote on whether to keep pursuing the chicken coops or try something different. Ultimately, the women unanimously chose to move forward with the idea of family gardens! The gardens would allow them to grow vegetables to provide healthier options, while also allowing them to grow enough to sell and make a small profit. This time, I went to the Peace Corps office and discussed with my project manager, who brought up the idea of the Peace Corps Partnership Program (PCPP) grant, a crowdfunding option that Peace Corps volunteers can turn to if needed. After working with several women from the commission, we completed the grant proposal, uploaded the crowd funding webpage and received all the necessary funds within 2 weeks! 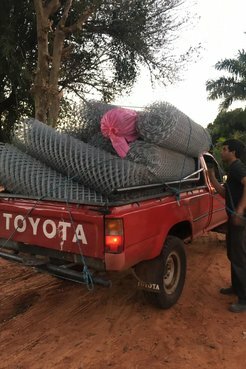 We were able to buy seeds, shade cloth, wire fencing, and hoses for each woman. There was a visible change in the women—they went from feeling helpless and discouraged by the system, to empowered and ready to work. The change was clear, as they began to independently organize meetings, and propose new project ideas. We are currently in the infancy stages of the gardens; they’ve been built, sown, and now we wait. However, while we wait for the vegetables to sprout, we are doing a series of classes—double digging, companionship planting, organic pesticides, family finances and seed conservation. After almost a year of effort, I’m thankful to see the growth of an independent women’s commission. Although the gardens are a testament to their efforts and the kindness of those who donated, the biggest success is the growth I’ve seen in each woman. They continue to organize and support each other in a way that showed me a new level of resilience and leadership. Natalia Eugez, Community Health Volunteer, in the Paraguari Area.